Yesterday I used a half vacation day to stand in the freezing rain for hours. 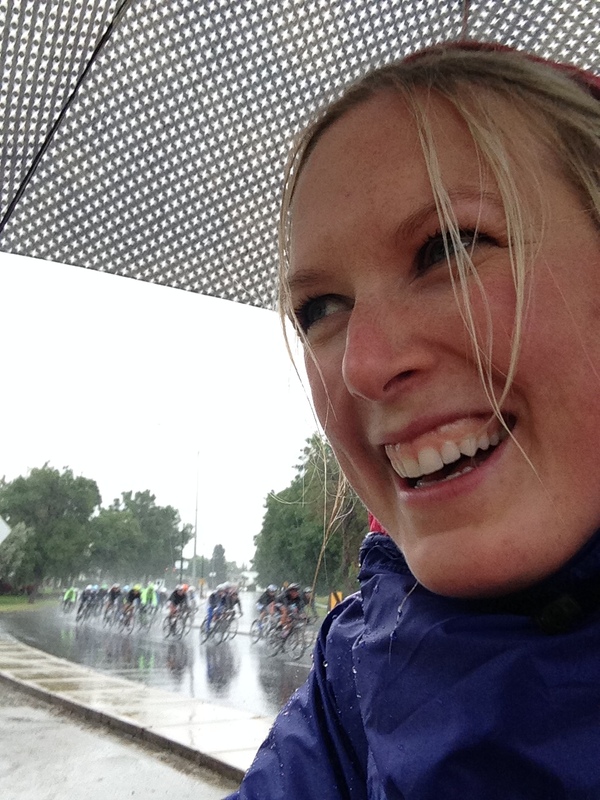 I volunteered to be a Course Marshall for the Lethbridge Stage of the Tour of Alberta. I figured it would be a great way to enjoy the last bit of summer, work on my tan, and enjoy a fun sporting event. Boy did nature have something else in store for me. I just have to say that volunteers are wonderful people. 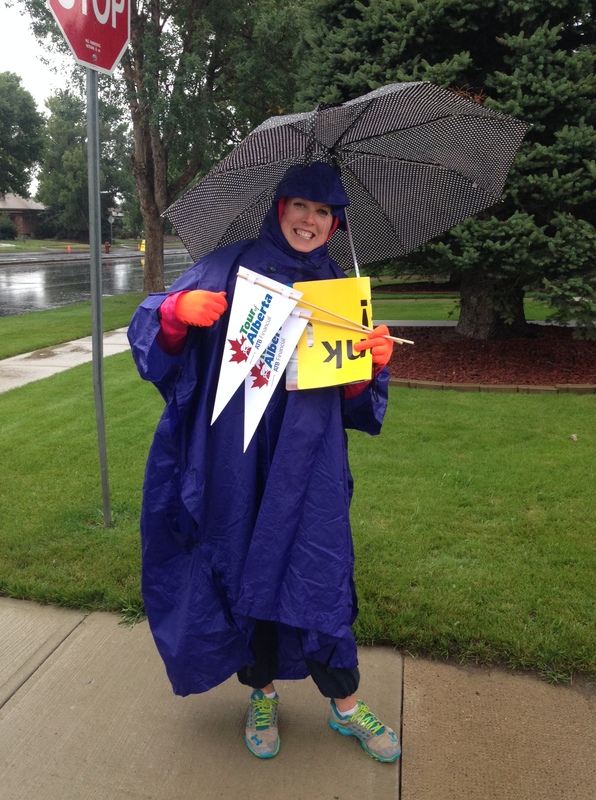 I wasn’t prepared for the downpour so one volunteer let me use her umbrella and another had an extra poncho. This is how good I looked! But no one complained. We got soaked and it was cold but we all did our jobs with a smile on our faces. The race itself was awesome! Those guys whipped by on their bikes so fast they would splash water on the sidewalk like a car. I met a wonderful man name Sal who is a cycling enthusiast from Calgary. 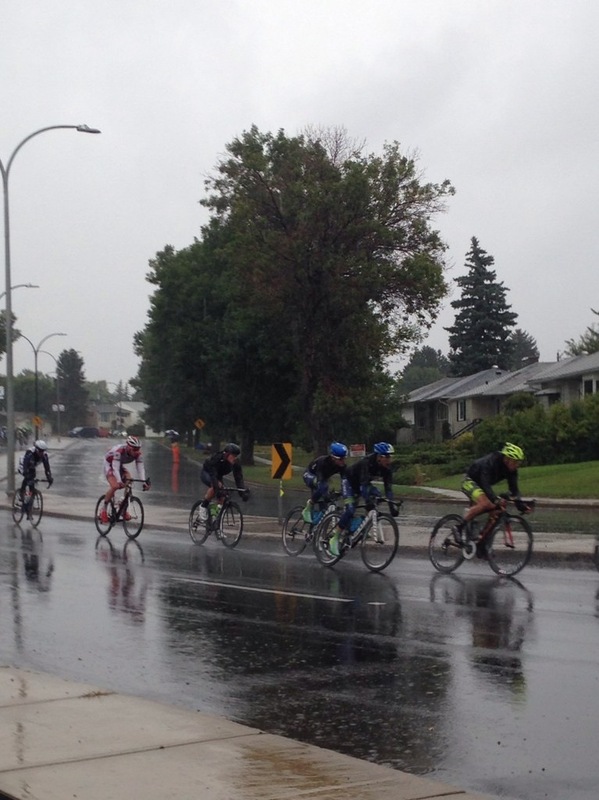 He volunteered at the Prologue in Calgary, Stage 1 in Lethbridge and he’s in Red Deer today volunteering at Stage 2. His excitement for the event and knowledge of the teams an riders helped make the event more enjoyable. Sal cheering. They are going so fast they’re just blurs! 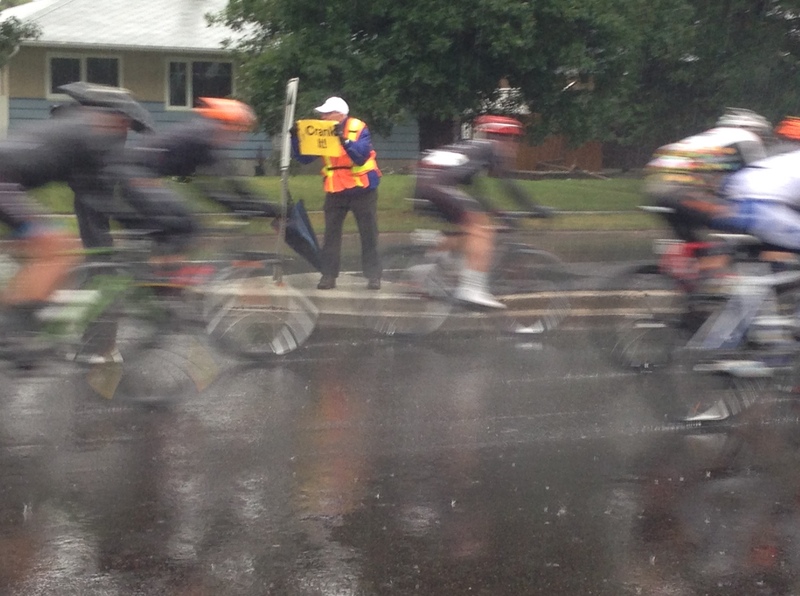 I wish I could have been at Galt Gardens to watch the start and finish but I kept everyone up to date with Twitter. It was such a fun event and I worked with a wonderful group of people. I’m hoping that this event comes back next year and that the weather cooperates a little more. Good luck to the racers for the remainder of the event!